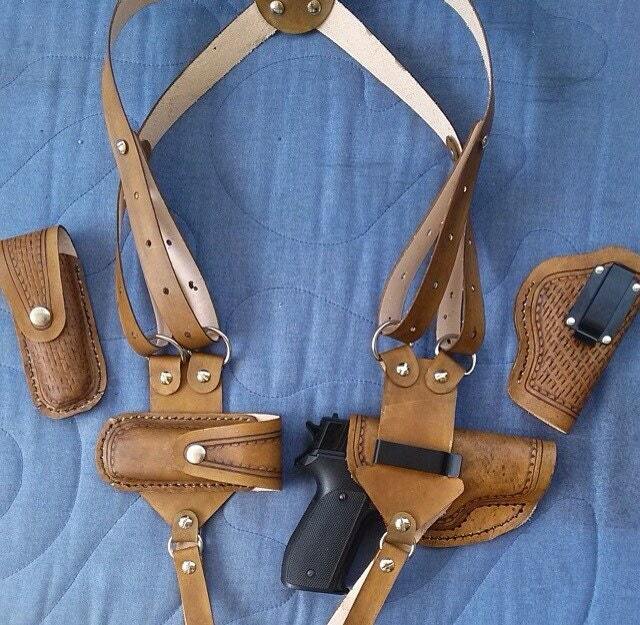 Custom made to order genuine leather holster, shoulder harness and magazine clip holster for semi automatic handguns. You specify size of handgun, color of leather and even add tooling if you wish. ***photo shows two holsters and magazine holsters but this set includes just one of each (photo is to show size variation and tooling options only).